Sebastian Monsour is chief executive officer of Queensland-based Majella Group, which includes a substantial property development division. Founded by respected Brisbane surgeon Professor Frank Monsour, Majella has recently completed its 91-apartment Radius development at Woolloongabba. The company also operates in other sectors including technology, design, engineering, project management, consulting services and finance. 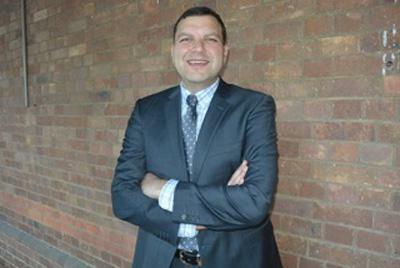 Majella CEO Sebastian Monsour. 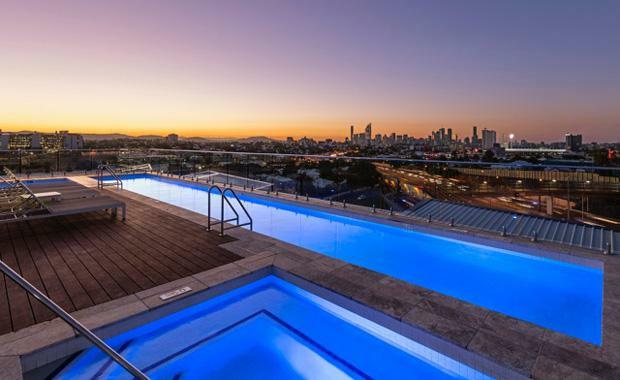 Main picture above: Radius Apartments' rooftop view towards Brisbane CBD (Picture - Oaks Hotels & Resorts). My father has been in the property industry for over 30 years; he's owned a lot of land around Brisbane. I have also worked in the construction side of the industry and with infrastructure and facilities. But my aim was to get into the family development business to work with my father. I really enjoy building things and my career has been an evolution from that. The decision to stay in the property industry was through the enjoyment and wanting to do bigger things. Broadway, Woolloongabba and Portland, Maine, USA are two of your next developments, why are they so unique? With the historic Broadway Hotel, we’re going to bring it back to life and have it as the centrepiece of a reinvigorated precinct. 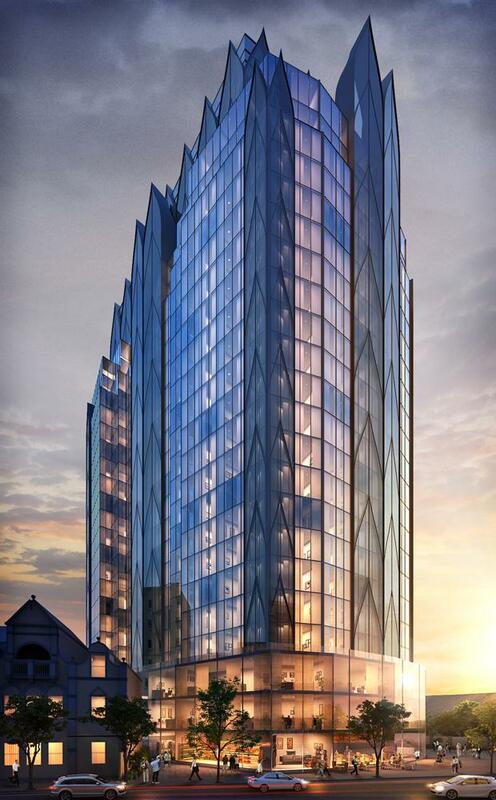 We will have the hotel along with a 25-level apartment tower and incorporate a three-level commercial and retail podium around the heritage-listed hotel. 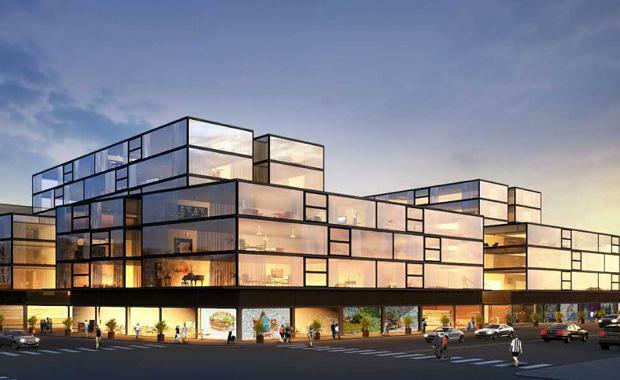 Everyone talks about mixed-use but not many truly do it. We’re offering a retail, entertainment and office mix with a level of separation from the residential tower, outside of the CBD, but with most of Brisbane city’s attractions within easy reach. We're offering those extra amenities and convenience without being in a downtown CBD location, yet we’re within that 3km of the CBD radius and keeping it reasonably priced. The other thing is picking areas which can also sustain that product so we’re pushing that boundary a bit. Not just having three or four retailers but having 30-40 shops and we've got two levels of offices and a corporate gym and rooftop facilities which gives everyone a view of the CBD. We did that also with Radius. We're not trying to say everyone will be able to have the best view in Brisbane from their apartment but they will have access to it. They have a proper swimming pool, not just a plunge pool. They have resort quality facilities and it's shared by everybody. And that's what we're also offering in Portland, Maine. There will be up to 300 apartments combined with a convention and entertainment centre, veterans’ administration centre and hospital, retail and commercial space for restaurants, cafés and boutique outlets, all embracing a precinct laneway design that will highlight the waterfront location and the area’s history. It will add to the urban renewal of a prime Casco Bay waterfront site. Artists' impression of Majella's Casco Bay waterfront site, Portland, Maine, USA. How would you describe your philosophy in property development? The philosophy that my father has instilled into the group is to build unique product that is more about the investor and the owner occupier and how they will feel about it in five or ten years rather than just focusing on the bottom line. The innovation, quality and the integrity of the product is foremost. We build developments we would be proud to live in ourselves. We’re in fact going to live in our forthcoming Mountview development at Spring Hill. These three pillars that my father has instilled have definitely resonated with myself and our whole team. We also want to effect change in the industry; to really push the boundaries of what we can do and what can we give back to the client. At Broadway, the technology that we will incorporate is based around pushing that innovation, not because it’s cost effective but because we’re pushing the industry to be better. At all times we’re pushing the boundaries of innovation to make sure it's the best product it can be, but at the same time keeping our integrity in place by not cheapening it or saying we're going to offer something and then not being able to deliver. Proposed Broadway Woolloongabba development with three levels of commercial mixed-use space adjoining the redeveloped Broadway Hotel. You’re about to embark on a roadshow through China. What are you hoping to achieve? We want to achieve a change in the way people see investing in Australia or the USA. We are a major partner at China International Fair for Investment & Trade 2016 in Xiamen and anchor at the Australian Pavilion. We're going there to build sustainable relationships. We want people to become part of the Majella family and become repeat customers and continue their journey with us. We want to change the approach of just going into China or the Middle East and trying to drum up sales or short term finance. We want to build our capital arm Majella Capital into an investment vehicle that people will join knowing that we're securing it against properties that will be there long term for them so they can keep reinvesting and also keep utilising our other services. In creating sustainable investments and services we’re aiming for our clients’ children to also continue the journey with us. Likewise, I want our children to be able to take over from me, so long term there is a recognition that Majella stands for our three core pillars and is there with you for your lifetime. Who have been your mentors and what key learnings have they passed on? My main mentor has been my father. He taught me the ethical and moral standing that I have today. He taught me that satisfying client needs has to be a higher goal than seeking financial gain. Our focus has to be about ensuring returns and delivering quality product, not just to us, but to our clients, our investors, our owner occupiers, all our customers -- we need to look after them more than we're looking after ourselves. So he's been a major influence in that regard. And of course my mother taught me humility and compassion and the importance of looking after those around me just like family.